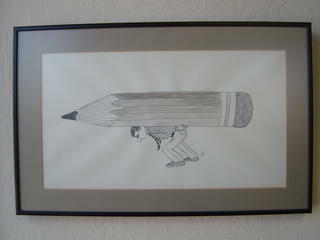 Note: The drawing shown here hangs in my office and was a gift to my father by a waitress/artist who once served him and the owner of one of our customers from Mexico, Lapicera Mexicana during a dinner in San Diego. 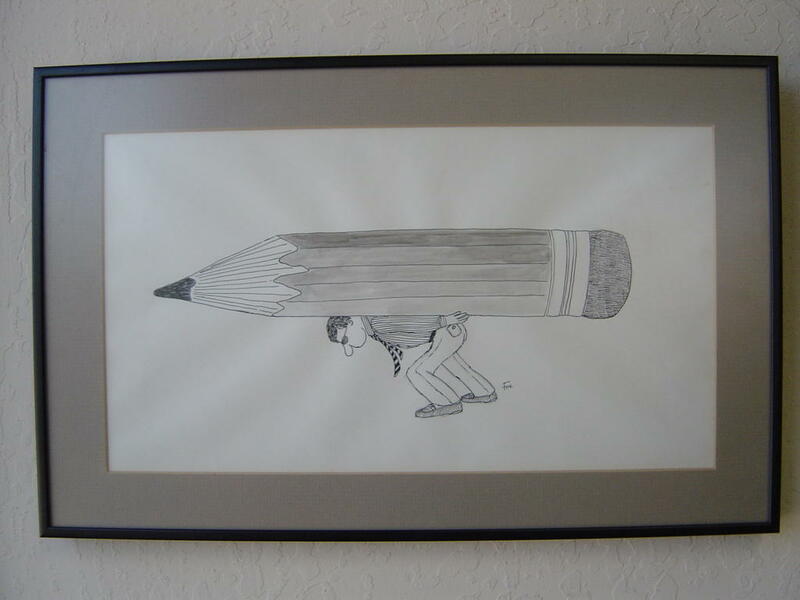 She thought it was novel to come across interesting people working in the pencil industry and drew this for my father and mailed it to him later. Last week I was visiting with a longtime friend and personal advisor discussing developments in our business as well as my recent extracurricular activities with the Timberlines, our new Pencil World Creativity Store and my Flickr site. She later checked the sites out and thought the whole WoodChuck, the pencil pusher alter ego was a hoot and provided me an interesting new outlet for some of my creative energy. The reality is it’s a challenge running a global business with international sales and operations in several time zones in our competitive industry. This alone is quite a bit before throwing in the added efforts of keeping up a new blog on the industry and starting a new online sales effort for our fledgling California Republic product range. As I hit extremely busy periods with the day to day work like we’re currently in now the picture here seems increasingly appropriate. Unfortunately correlating with such busy periods is a reduced frequency of posts on the Timberlines. It’s not that there isn’t lots to do and cover here on Timberlines, I actually have a long list of topics I have plans to cover down the road, just need to balance that with the everyday pencil pushing. I’ll do my best to keep at least one meaty post going once a week. Anyway I’d like to thank those of you continuing to visit Timberlines and especially those that have supported our Palomino launch thus far, particularly our friends via the Pencil Revolution. Now back to Halloween planning.